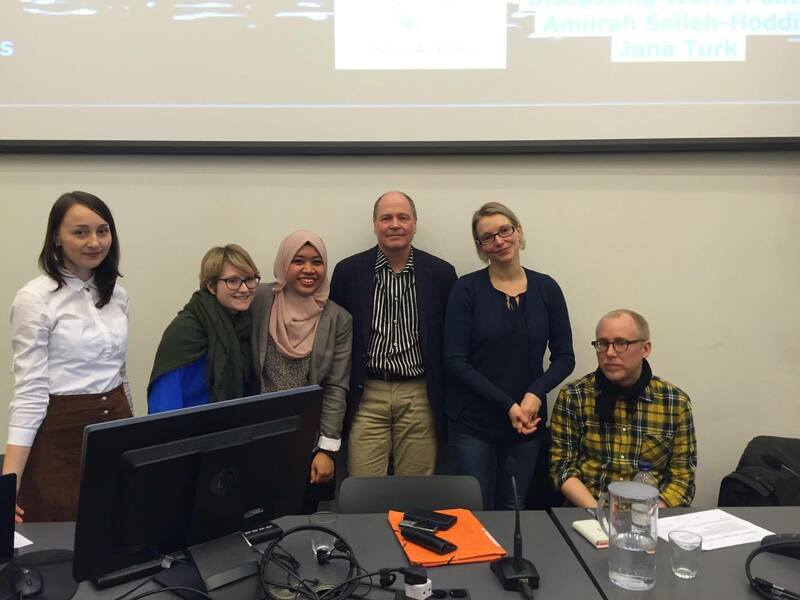 The DWP-Team together with social activists Amiirah and Jana organised a discussion on migration. 4.12.2014: Emerging Economies: Growth Interrupted? A discussion addressing perspectives of economic growth and development in emerging markets and its implications for global economy. – Tuomas Malinen is a Postdoctoral Researcher in the Helsinki Center of Economic Research, whose academic interests include economic growth, economic crises, and income inequality. Tuomas has written extensively on these subjects, publishing in leading academic journals, Journal of International Development and Empirical Economics. We want to ask what remains of the Ukrainian revolution in today’s conflict. How have the escalating events in Ukraine changed the geopolitical order that characterized the post-cold war era? Should we accept the discourse that speaks of the Ukrainian conflict only in terms of Russia and the West and what does this say about how we continue to see some states as passive subjects lying in the spheres of influence of world powers? –Heikki Patomäki is Professor of World Politics at the University of Helsinki, Finland. His most recent books in English are “The Great Eurozone Disaster: From Crisis to Global New Deal” (Zed Books, 2013) and “The Political Economy of Global Security” (Routledge, 2008). He is currently working on two new books, Unprincipled Economics (with Jamie Morgan) and Global Futures. Previously Patomäki has also worked as a Professor of World Politics and Economy at the Nottingham Trent University, UK (1998-2003), and RMIT University, Melbourne, Australia (2007-2010, while on leave from Helsinki). In 2012 he was a Visiting Professor at the Ritsumeikan University in Kyoto, Japan. 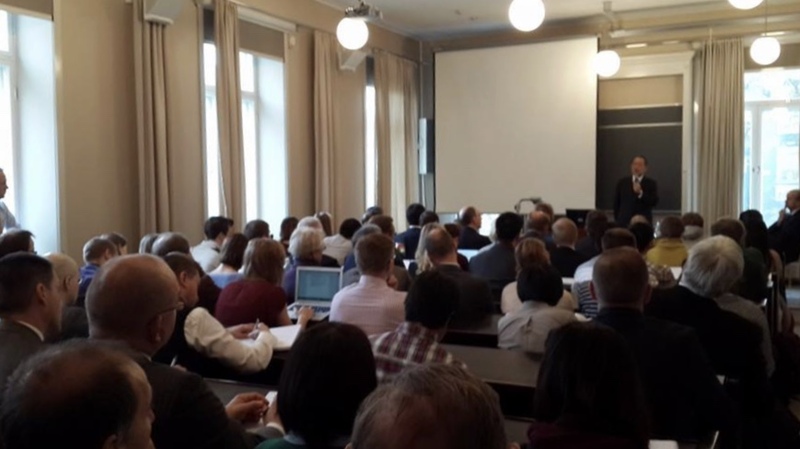 –Sergei Prozorov is university Lecturer in World Politics and Academy of Finland Research Fellow at the Department of Political and Economic Studies at the University of Helsinki. He is the author of six monographs, the most recent being “Agamben and Politics” (Edinburgh University Press, 2014). Prozorov has also published numerous articles on political philosophy and international relations in major international journals. His key publications on Russia include ‘Understanding Conflict Between Russia and the EU’ (Palgrave Macmillan, 2006), The Ethics of Postcommunism (Palgrave Macmillan, 2009), and most recently “Foucault and Soviet Biopolitics” (History of Human Sciences, 2014). 14.11.2014: United Kingdom and the future of European integration: will a new balance be found? What is United Kingdom’s current vision for the European project? And is it compatible with the common vision of a more integrated Europe alongside with the free flow of goods, services and labour? – Tim Hemmings (B.A. Hons, Cambridge University) has a long career in positions related to EU policymaking within both the British state administration and diplomatic representation. Since June 2013 he has acted as the Head of United Kingdom’s European directorate and will now in the role of a leading civil servant shed light on the United Kingdom’s official policies towards the EU and their relation to UK’s foreign policy goals in the larger context. – Pekka Haavisto has considerable experience and specialty in international affairs and conflict resolution. Having led research groups of the UN Environment Programme in Kosovo, Afghanistan, Iraq, Liberia, and Palestine, among others, he was appointed to serve as a special representative of the EU during the Darfur peace talks in Sudan in 2005-2007, and in 2007 as an advisor to the UN. He has also worked as a special advisor for the Finnish Minister of Foreign Affairs with specialization in the regions of Somalia and Sudan. He has served as member of the Finnish parliament between 1987 and 1995, and from 2007 onwards. He was the Minister for International Development between 2013 and 2014, and Minister for the Environment between 1995 and 1999. He is an active commentator on the issues of environment, global development, and peace and conflict. – General Major Juha Kilpiä led the United Nations Truce Supervision Organization from 2011-2014. The UN Truce Supervision organisation is the oldest UN mission in continuous operation- founded in 1948- it operates in Egypt, Israel, Lebanon and Syria. Its primary task is to report to the UN about the military-political situation in the Middle East, while supervising armistices and giving assistance to the other peacekeeping missions in the region. Kilpiä häs previously served as military representative of Finland in the NATO and the EU, and as Chief of Operations of UNIFIL (Kosovo) in 1991 and UNDOF (the Middle East) in 1993. The elections of the Representative Council of the Student Union of the University of Helsinki (HYY) is the highest decision-making body of HYY. HYY on the other hand is one of the richest student unions in the world and has a huge budget to be decided upon. Discussing World Politics invited all groups running for the council elections to an election debate. 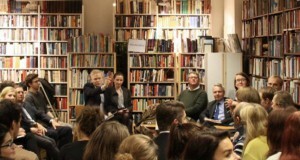 We pondered on some difficult questions facing Europe: Why was the crisis so severe in Europe? Why did the European banking system prove so fragile? How has the European financial system changed since the crisis and is it more stable now? What is the potential effect of the changes in financial system on economic growth? What are Europe’s post-crisis economic prospects? What are the key lessons to be learned and can we prevent crisis from happening again? –Karolin Kirschenmann is the Assistant Professor of Finance at Aalto University School of Business. Her research focuses on financial institutions and banking. Her recent publications explore funding availability during crisis. –Valtteri Ahti, a strategist at the Capital Markets unit of Evli, a Nordic Investment Bank, PhD in Economics and Econometrics. His work is focused on macro-driven investment strategies. Discussion focused on questions around terrorism, such as: What is terrorism? Is there a ‘global threat of terrorism’? How does it shape society? How are we ought to deal with the threat of terrorism? How is it connected to technology? And how will terrorism look like in the future. With: –Mats Fridlund, is a Professor of the History of Industrialization at Aalto University in Helsinki and focuses on the technologies of terrorism and the development of ‘terrormindedness’. He also analyses the link between terrorism and society in general. –Tom Kankkonen, Foreign News Correspondent at YLE. Kankkonen has traveled numerous times to Syria to cover the conflict. His recent trip to Syria was in March 2014. Recently he travelled to Iraq, where he covered the conflict with the terrorist group ‘Islamic State’ (IS). With: Chung-in Moon is a professor of political science at Yonsei University and Ambassador for International Security Affairs at the Ministry of Foreign Affairs and Trade, the Republic of Korea. He served as Dean of Yonsei’s Graduate School of International Studies and as Chairman of the Presidential Committee on the North-East Asian Cooperation Initiative, a Cabinet-level post. He has published over 40 books and 230 articles in edited volumes and in such scholarly journals as, World Politics, International Studies Quarterly, and the World Development. He was also appointed as a member of President-elect Roh Moo-hyun’s high level delegation to the US in 2003. Professor Moon has also been a fellow of the Woodrow Wilson International Centre in Washington, D.C. 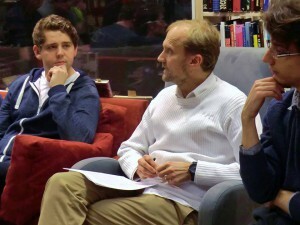 The event was moderated by Timo Kivimäki. 24.4.2014: Finland – a Welfare State? 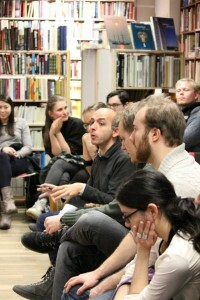 With: –Johannes Kananen, a post-doctoral researcher at the Swedish School of Social Science (University of Helsinki). 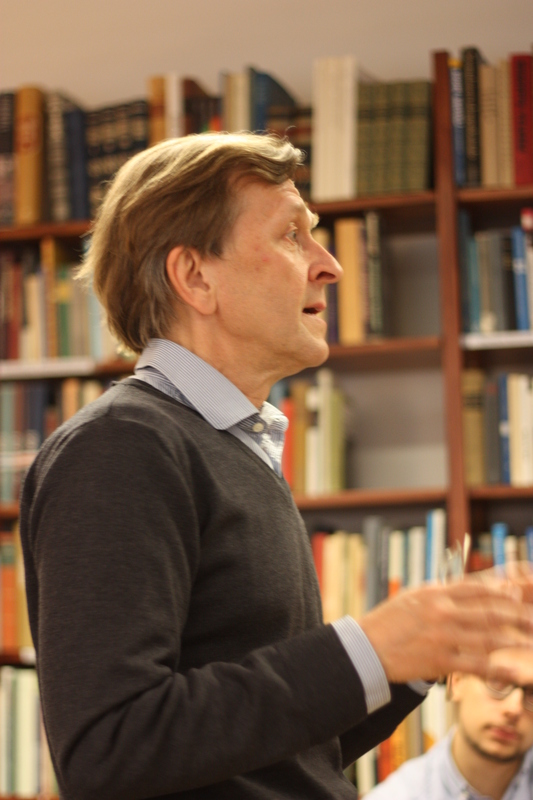 Kananen is an expert on Comparative Social Policy and in particular the development and the transformation of the Nordic welfare model. –Tommi Uschanov, a translator and an author of non-fiction books. 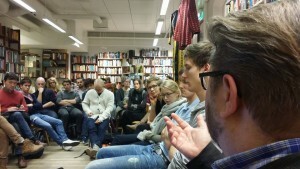 Uschanov is a notable columnist for the Helsingin Sanomat newspaper. 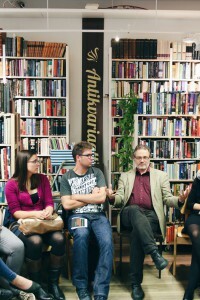 His most recent book, “Miksi Suomi on Suomi”, deals with what constitutes the Finnish nation and the Finnish people – or what are the particularities that distinguish Finland from the rest of the world. The discussion focused on the situation in Syria, for the purpose of trying to understand the nuances of the conflict and also to get an account of what it is like on the ground. With: –Tom Kankkonen, Foreign News Correspondent at YLE. Kankkonen has traveled numerous times to Syria to cover the conflict. His recent trip to Syria was in March 2014. –Mikko Patokallio, Analyst at CMI’s Middle East and North Africa Programme. Patokallio works on policy analysis, monitoring and coordination and has published widely on topical Middle East issues and on Lebanon in particular. –Sherwan Haji, a Syrian Kurd who works in film and theatre. Haji was involved in the making of the film ‘Return to Homs’, which won the Sundance Film Festival World Cinema Grand Jury Prize. Haji is also working as a producer in a new documentary covering the war in Syria and has conducted theater workshops in Syrian refugee camps in Lebanon. 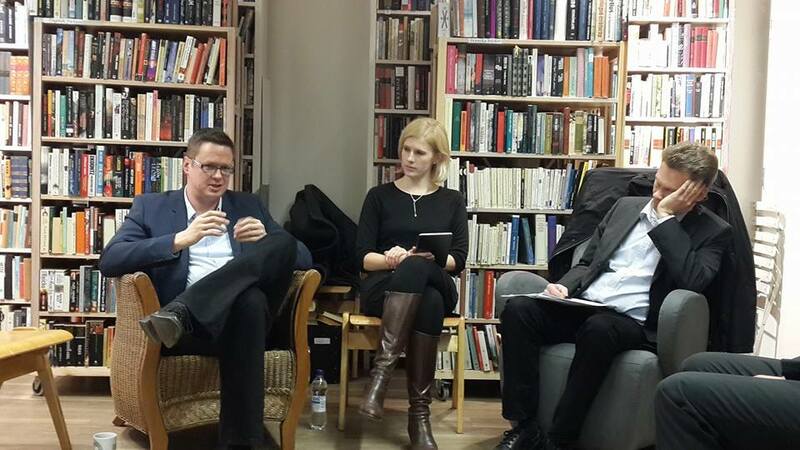 The talk circled around the situation in Ukraine a few days after the referendum in Crimea. 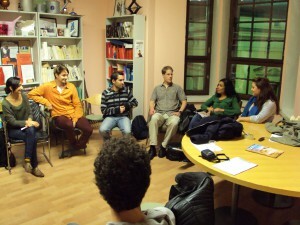 Guest speaker were: -Arseniy Svynarenko, sociologist and youth researcher. He teaches several courses in Ukrainian studies at the University of Helsinki. Mr. Svynarenko told us more about the contemporary political situation of Ukraine and the (potential) role of the EU with regard to the conflict. –Jane Kurbat, a financial analyst at Taaleritehdas, a Finnish Asset Management company. 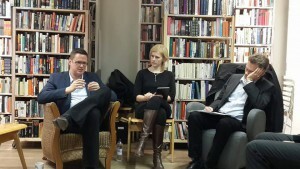 Kurbat’s research is centred on Russia and Central and Eastern Europe (CEE). Her work at Taaleritehdas focuses primarily on the equity market developments and specific corporates (bottom-up approach) in CEE, Russia and Ukraine as well as macroeconomic and political environment in the region. Ms. Kurbat spoke about the macroeconomic situation in Ukraine and the economic and political implications of the situation in Crimea. 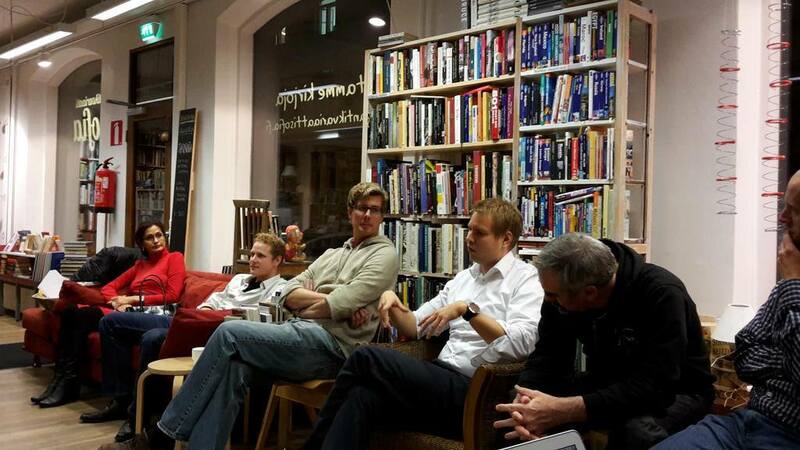 13.3.2014: Poland – History is destiny? 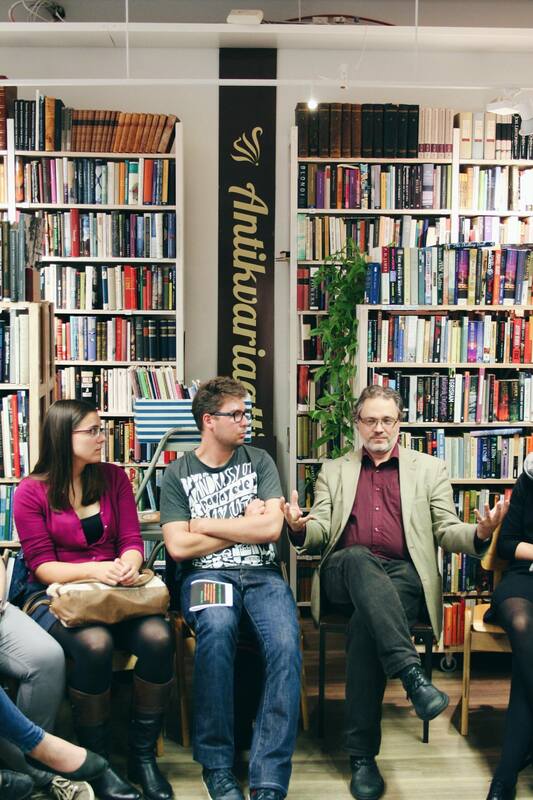 DWP’s first historically themed discussion centered on Polish history and politics. The Guest speakers were: –Miia Ijäs, who has her PhD on the Polish-Lithuanian Commonwealth at the University of Tampere. She spoke on the legacy of the Commonwealth in today’s Europe. –Jussi Jalonen, researcher at the University of Tampere and an expert in Finnish-Polish comparative studies. 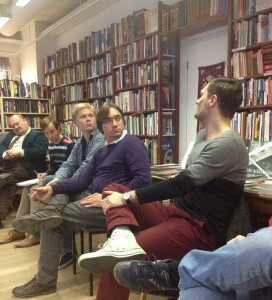 He gave insights on Polish romantic nationalism in the 19th century and Russo-Polish relations. –Mila Oiva, PhD candidate in Polish cultural history at the University of Turku. She spoke on Poland’s 20th century experiences, their contemporary representation, and the impact they have on Polish self-identity. The discussion circled around questions related to the electronic surveillance by intelligence agencies. 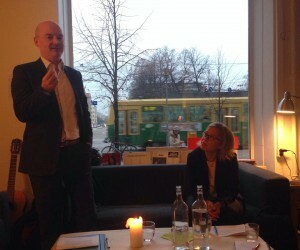 Guest speaker, Dr. Massimo Fichera, post-doctoral researcher and lecturer at the law faculty of the University of Helsinki, shared academic insights on the issue from an international law perspective. We discussed the use of drones in warfare and its implications on peace and conflict with Dr. Timo Kivimäki –faculty at the Department of Political and Economic Studies in the University of Helsinki and a frequent consultant to the Finnish, Danish, Dutch, Russian, Malaysian, Indonesian and Swedish governments, as well as to several UN and EU organizations on conflict and terrorism. Despite increasing criticisms by human rights groups, academics, activists and the UN, targeted killings by drones witnessed an escalation across Yemen, Pakistan and Somalia. The US launched more than 390 drone strikes in the past five years killing more than 2,400 people (The Bureau of Investigative Journalism), while the definition of combatants is becoming increasingly fluid and ambiguous. The EU on the other hand seems to be investing in efforts to catch up with the technology (for both civilian and military purposes). In November 2013, seven European countries, including Germany and France, discussed what France called an “EU drones club” and in December 2013 the EU organized its largest summit on defense since 2008 where drones featured high in the agenda. So far the Europeans have been relying on Israel and the US to provide them with this technology, in late 2010 Finland imported drones from Israel in a 17 million Euro deal. We touched on these issues and more in a very engaging discussion. 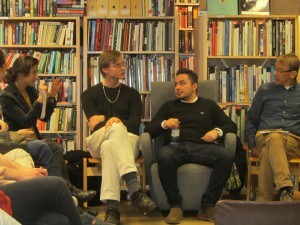 Professor Teivo Teivainen of World Politics at the University of Helsinki, and Leonardo Custodio, PhD candidate at the University of Tampere and member of its BRICS and media project discussed the political situation in Brazil in light of the protests prior to the elections at the beginning of 2014. The discussion centered on the question: Are the recent street protests an expression of democratization from below or an attempt to delegitimize the government before the elections? What does this tell us about the future of the left-leaning governments in Latin America? The discussion centered on current debates on water security and water diplomacy. The discussion was facilitated by visiting Master student from Stellenbosch University in South Africa, Christiaan du Randt. Water is under pressure and disputes over this finite resource is exacerbating conflicts throughout the world; a series of dams have reduced water flow from the Tigris and the Euphrates, causing tension between Turkey, Iraq and Syria. In central Asia, five regions are competing for water from two sources – the Syr Daria and Amu Daria rivers. In the Israeli-Palestinian conflict over water is part of the overall conflict. We discussed recent developments in water diplomacy and their effectiveness and pondered on the question: how has the source of life become the source of conflict? 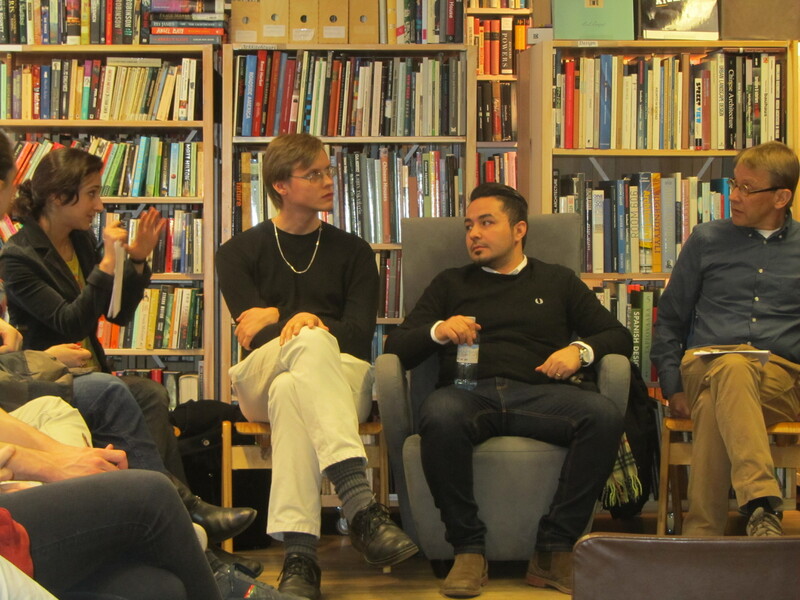 The discussion took up the topic of timebanks, complementary currencies and community exchange systems. Our guest speakers were Ruby van der Wekken from the Helsinki Time Bank (Stadin Aikapankki) and a Master student from the University of Helsinki, Mariana Antonaki, who is doing her research on complementary currency schemes in Greece. The talk was about the implications of non-monetary and non-commercial trade on shifting community dynamics and the modes of production. We explored what role community-based economies play at times of economic crisis, and how they provide an opportunity for social and economic inclusion to individuals who have fallen outside of formal markets. Activist Vladimir Milea talked about the Save Rosia Montana movement, a transnational movement with activists based in several capital cities including Helsinki, opposing the environmental destruction that could be caused by the Rosia Montana gold-mining project in Romania. It could become Europe’s biggest open cast gold-mine, with devastating consequences for the environment. The Canadian company Gabriel Resources promises billions of Euros in taxes and large-scale employment for the economically shattered region. However, several ancient villages in Rosia Montana, including 4 surrounding mountain tops and a neighboring valley, are to be destroyed for the quarries and its waste disposal. Some 13,000 tons of cyanide is to be used each year to extract 314 tonnes of gold and 1,600 tonnes of silver. The Save Rosia Montana Movement was born in opposition to the mine’s development. Each Sunday thousands of people gather to protest in Bucharest, Budapest, Berlin, London, Washington and Singapore. 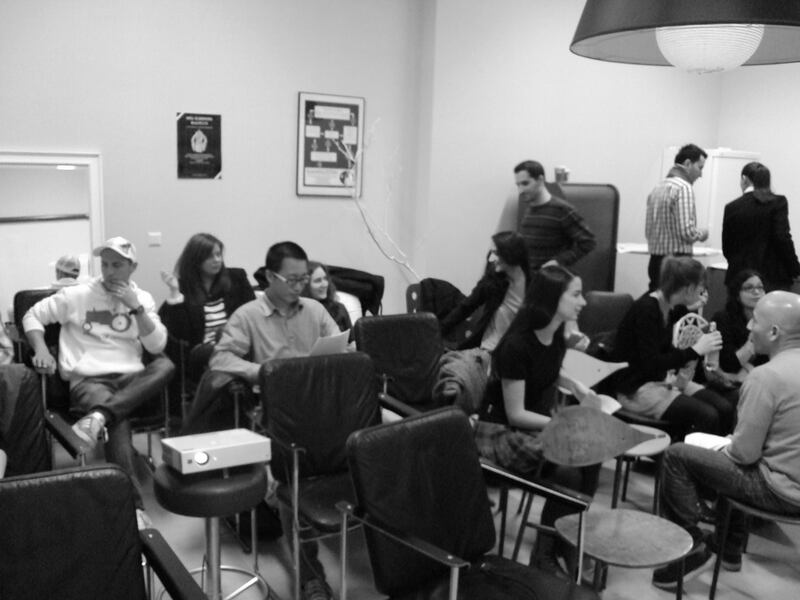 Now the movement is about to spread to Helsinki. 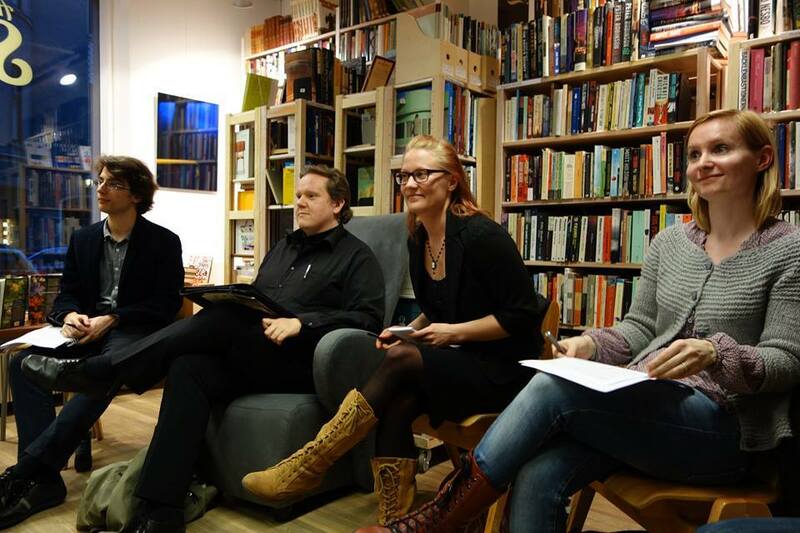 Vladimir Milea and other activists of the newly born branch in Helsinki share their view on the mining project and the movement’s concerns. 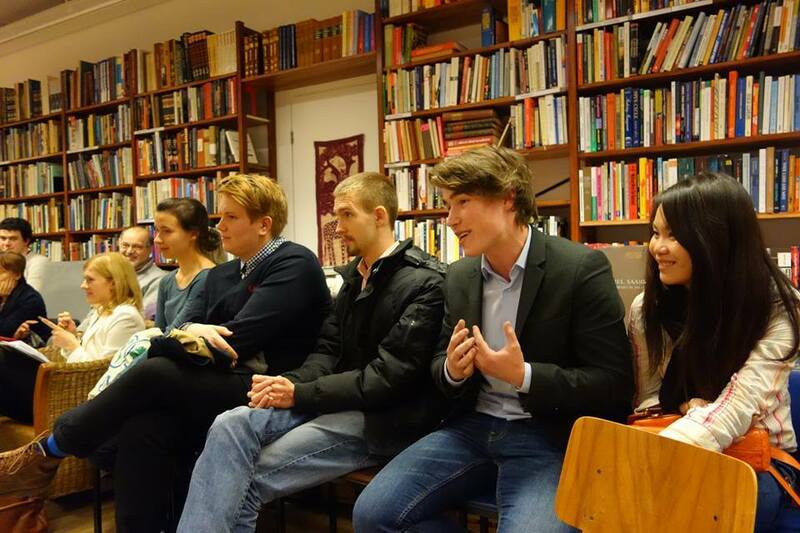 Discussing World Politics’s very first meeting had the shape of a small discussion among five Master students of the University of Helsinki, including the Founders Regina Welsch and Yasmeen Al-Eryani. The first presentation of ten minutes was given by Regina Welsch.